Interactive map of 7 Australian biomes. Geography learning game. 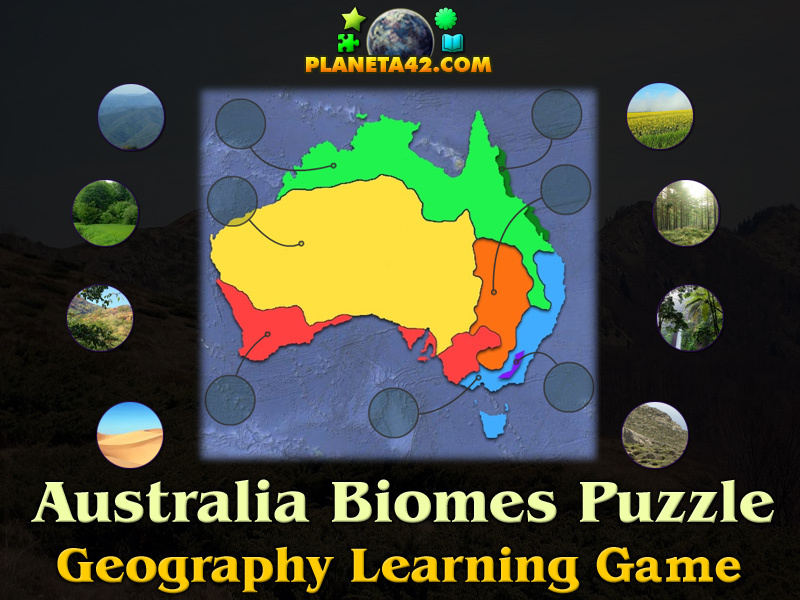 "Australia Biomes Puzzle" is a free online knowledge level game to find the correct biome of Australia environment map. 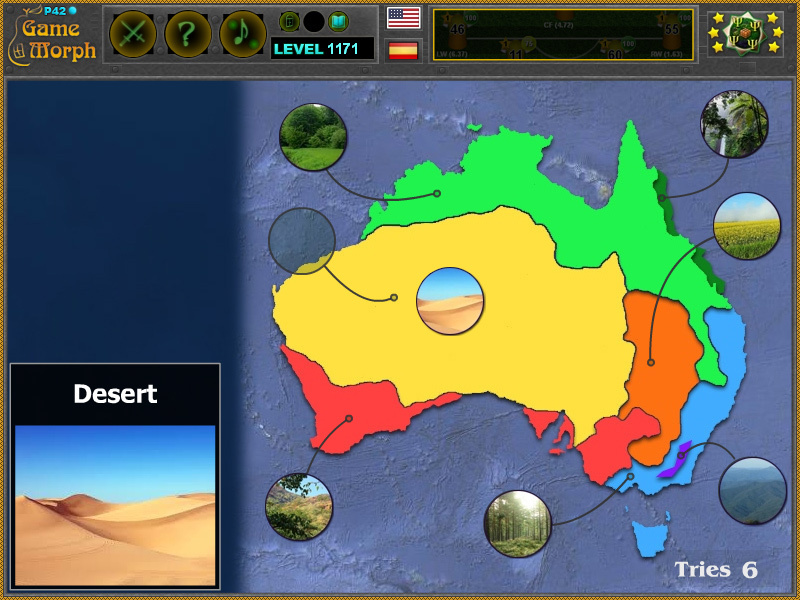 Fun educational geography game to exercise or study the habitats and terrestrial vegetation of Australia, suitable for online lessons and interactive classes. Minute to win it game. Bimes game. How to play Australia Biomes Puzzle. There are 7 movable pieces of Australia biomes situated on the left side on the screen. Drag and drop them on the correct slot of australian environment map to the right of the screen. The information window shows a beautiful view of the biomes. Know 3 biomes of Australia and get +1 Knowledge Level. Although most of Australia is semi-arid or desert, it includes a diverse range of habitats from alpine heaths to tropical rainforests, and is recognised as a megadiverse country. Australian forests are mostly made up of evergreen species, particularly eucalyptus trees in the less arid regions; wattles replace them as the dominant species in drier regions and deserts. The climate of Australia is significantly influenced by ocean currents, including the Indian Ocean Dipole and the El Nino–Southern Oscillation, which is correlated with periodic drought, and the seasonal tropical low-pressure system that produces cyclones in northern Australia. What environment zones do Australia have? How many biomes are there in Australia? What is the location of the deserts in Australia? Where do tropical rainforests grow in Australia? What are the biomes of Australia? What habitable zones do Australia have? Labels: Biome Games , Interactive Maps , Puzzles , Geography Games , Education Games , Australia Games , Free Online Games.